As August rolls on I get increasingly excited about nature’s bounty. These later summer days become less about outdoor eating and more about long walks rummaging around in the hedgerow for fruit, with success judged by running out of containers to fit it all into. Fingers are stained red from the fruits’ juices and arms scratched to blazes trying to delve for any ripe gems that are hiding. Then you get home and have to work out what the heck to do with all your booty. Turns out there’s only so much jam you can make, eat, or that friends will be grateful for. So here are a few ideas for a few of the fruits that I always hope to find round about now: raspberry vinegar and liqueur, cherry varenya and plum tatin. 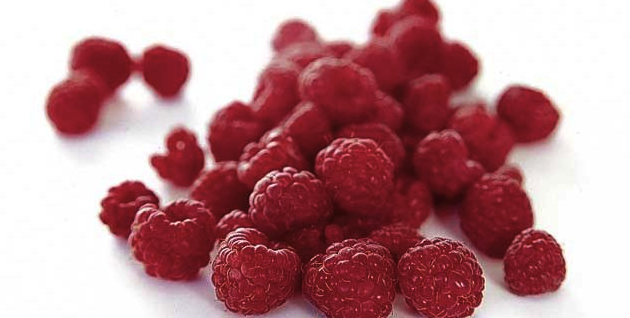 Keep an eye out for raspberries in rocky woods and hedgerows. Their liking for shade can mean that the berries sometimes hide under the leaves so it is worth having a little delve around to make sure you can really see what’s what. 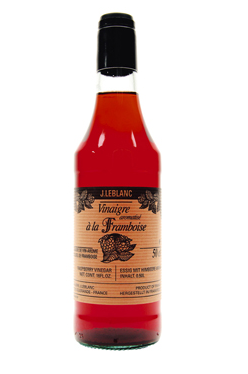 Raspberry vinegar is good as a salad dressing, with goats cheese dishes, figs or when cooking lamb. Yorkshire Puddings were traditionally served with it as a course before the roast beef feast. This version isn’t quite as sweet as some of the old recipes. 1. Put the berries into a large stainless steel bowl and lightly crush them with a fork. Pour over the vinegar, stir, cover the bowl with a cloth and leave it all in a cool, dark place for 3 or 4 days. Give it a stir every so often. 2. Strain through muslin or a fine sieve into a large stainless steel pan. Add the sugar and bring to the boil. Keep stirring until the sugar has dissolved. Boil for 10 minutes, skimming off any foam that comes to the top. 3. Pour into sterilized bottles and let the vinegar mature for 2 weeks before using. It’ll keep for six months or so. Raspberries also work well in this whisky-based liqueur, although you could absolutely use gin or vodka instead if you prefer. 1. Wash the berries and then put them into a big bowl with the sugar and the booze. Stir it together but don’t worry about the sugar dissolving – it doesn’t need to. 2. Scoop it all into a clean and sterilised preserving jar. Seal and put somewhere cool and dark. Over the next 3 months shake the jar once or twice a week to mix it all up nicely. Then leave it alone for a further 6 months. 3. If you have managed to remember that it is there, you now need to open up the jar and strain it all through muslin or other fine cloth. Do not mush the fruit to get more of it out. Strain the liquid a couple of times to get it as clear as you need it to be. Now pour into a clean, sterilised bottle with an air-tight seal. 4. 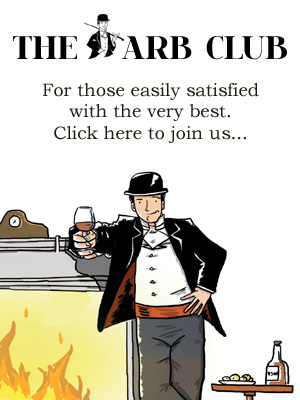 Let your liqueur mature for another 6 months somewhere cool and dark. So yes, this Raspberry Liqueur takes over a year to make all told. But it will keep for 2-3 years and it is lovely to serve at the end of the meal. A homemade liqueur made from fruits that you have picked yourself somehow manages to be equally effective as a dinner-party trump card or the perfect end to a cosy and romantic dinner at home. Wild cherry trees love the light so you’re most likely to find them on the edges of woods and hedgerows. A few hundred years ago they were planted extensively in Kent and Hertfordshire to create fruit for commercial sale and those areas can still be good picking ground. Kent was famous for its Cherry Ale, which if you are tempted to make do bear in mind that it is supposed to mature for nine years before drinking. Maybe it’s more something to keep an eye out for a pint of in a Kent pub. 1. Boil the water and sugar together until the sugar is dissolved and becomes a syrup. 2. Add in the cherries and boil it all for 10-15 mins. Towards the top end of that if your cherries were a little on the hard side. Take it off the heat and stir through the lemon juice. It will keep in a clean, sterilised jar in the fridge for a good few months. I can’t think of a lovelier addition to an afternoon tea than spooning some varenya into your most beautiful small bowl and stirring a little syrup and a cherry into (black) tea. 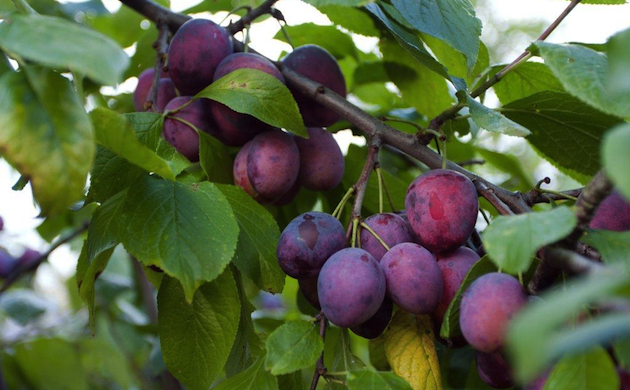 Any tree that is heavy with plums is going to look and smell beautiful. 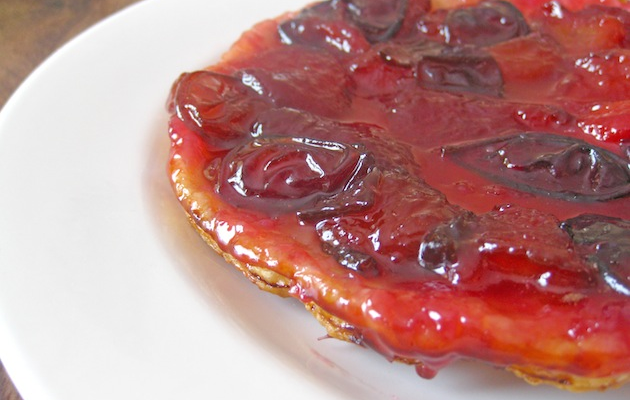 I like them in a plum tatin made to Nigel Slater’s recipe. There’s something about baking it in a frying pan that makes this tart extra-satisfying. 1. Make the pastry by dicing the butter and rubbing the flour into it until it’s like breadcrumbs. Add the egg and sugar and bring it all together. You might (might) need a tbsp cold water too. Lightly knead until you have a smooth pastry, work it into a ball and then flatten that into a disc. Wrap in cling and chill for at least an hour. 2. Preheat the oven to 180C. Put a metal-handled 25cn frying pan on a low heat on the stove with the butter and sugar. As they become caramelly, take the pan off the heat and arrange the plums all over the base of the pan. Cut side up. 3. Roll the pastry out so that it’s big enough to cover the pan base. Carefully lift it over the plums and tuck it in all around the edges of the pan and the fruit. 4. Bake for about 50 minutes – you’ll see that the pastry is cooked and the fruit’s juices are bubbling around. 5. Let the tart cool for about half an hour before turning out. Sit a large plate over the pan and in one brave motion turn the whole thing over. The odds are better than you’d think for the tart making it out in one firm piece. 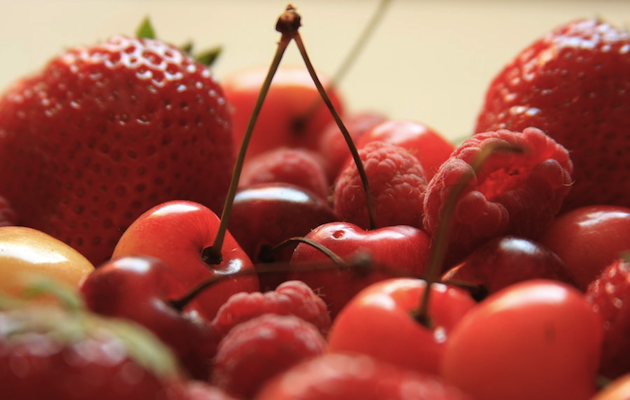 Depending on timing, the area you’re in, and how fair/foul the weather has been to nature you could also find blackberries, dewberries, strawberries, blackcurrants, cherries, bilberries, red currants or white currants. If you hit the fruit-picking jackpot and manage to gather more than a couple of those then ignore all other recommendations – a Summer Pudding is what you should make with your goodies. As I write it’s a smidge early for picking that old jammy stalwart– blackberries. When they do come round I’ll save some from the jam pot for blackberry (gin, vodka or brandy) liqueur, made in the same way as the raspberry version above. Also a versatile blackberry syrup from 1kg berries, 100ml water and 400g sugar. Delicious poured over vanilla ice-cream for the speediest of desserts; or with hot water, a dash of rum, a pinch of nutmeg and two cloves to warm you up on a chilly autumn evening. That should take the edge off any worries about the evenings drawing in.